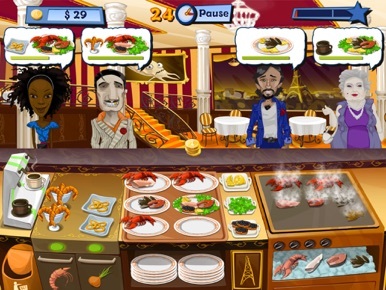 "The best restaurant in town"
Happy Chef is a time management game which allows you to improve your culinary skills by preparing lots of different dishes. You inherit a burger bar and your objective is to turn it into the best restaurant of the country. It's not only about the service but the place itself, too. 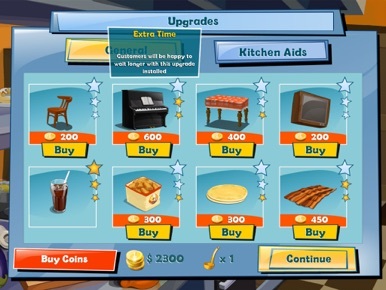 Try to decorate the restaurant by purchasing furniture and accessories in the more than 70 levels available to play. The graphics are well-designed and there's a lot of features and details, making it a very complete game. 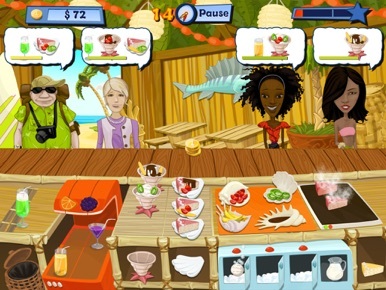 Nordcurrent is the developer of Happy Chef, an addictive management game for those who enjoy organizing their time and would like to train to see what it's like to work in a restaurant. Complete the levels and choose your favorite character to play with. 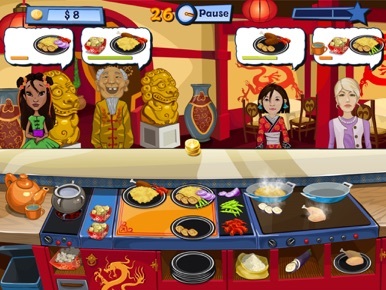 Be a happy chef and keep your restaurant busy. 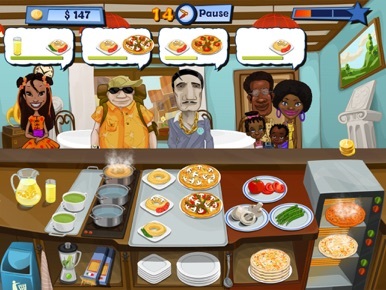 Happy Chef is a time management game which allows you to improve your culinary skills by preparing lots of different dishes. You inherit a burger bar and your objective is to turn it into the best restaurant of the country. It's not only about the service but the place itself, too. Try to decorate the….